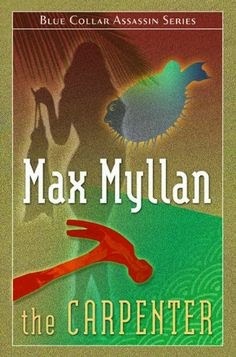 Max Myllan's "The Carpenter" is a fresh take on the thriller/crime genre that will take you on a ride you won't want to get off. The main character is Eric James Donovan. A former black ops leader, he is now a carpenter suffering under the recession. When he is made an offer by a mysterious person known as the mediator, Donovan accepts eagerly. Using a neurotoxin from a puffer fish, Donovan begins his career as an assassin that brings him face-to-face with personal struggles, moral dilemmas, and death itself. One thing you should note about this book is the writing is top-notch, reminiscent of Ian Fleming's voice, with descriptive yet curt narration. Myllan is an author who does his research and everything from fishing scenes to neurotoxin chemistry is described with details that you'd expect from someone in the respective fields. The plot is well-paced, and I really enjoyed the main character's cynical, calculated, witty voice. The author injects a bit of real-world feel to the novel with the addition of elements of the recession. Overall, if you want to read a fresh take on crime/thriller novels, you will enjoy this book.